Julia’s Tearoom renowned for its high-quality locally-sourced food, tempting homemade cakes, and delicious cream teas.You can enjoy these in our cosy tearoom, once the salon of Julia Margaret Cameron and where she entertained guests, or in our pretty, sunny garden with views to Freshwater Bay and the sea. 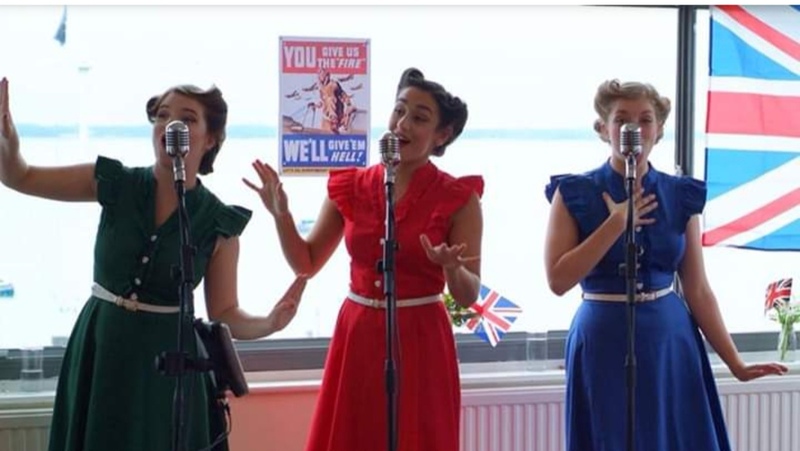 The first music evening at Julia's tea room, hosts the wonderful Company B, inspired by the Andrews Sisters, Company B are a close-harmony vocal quartet / Trio from the Isle of Wight who perform 1940's Swing. Performing for an hour with a break in the middle, to top up your refreshments. Local wines, and real ales will be available as well as Island distillery Mermaid Gin. If that's not your cup of tea... well we will have tea and coffee available. We would strongly advise booking your tickets, to collect on the night we have a limit of 40 people. Doors open at 7.30pm, music starts at 8pm.